Looking for companionship after a near-fatal car crash, Elena Mannes, an award-winning television journalist and producer, decided to get her first dog. But what she found with her dog Brio shook the foundations of her physical and spiritual worlds, sending her on a quest to discover the nature of his spiritual origins and to contemplate and seek out the possibility of interspecies communication–even after death. Soon after bringing her puppy home, Mannes realized that the master-companion relationship would not be possible with Brio, who quickly showed that he had a mind–and a spirit–of his own. A healer Mannes visited immediately focused on Brio, exclaiming that he was an old soul. 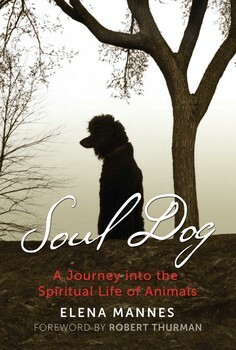 Mannes’s growing curiosity about the intelligence, emotions, and consciousness of Brio and other dogs led her to contact an animal psychic in California who described, with amazing accuracy, Brio’s favorite walks and the author’s apartment from the dog’s point of view. Motivated by her experience, Mannes produced a filmed segment with Diane Sawyer featuring the same psychic, who described Sawyer’s country house and her dog’s favorite spots in the yard. Mannes’s skeptical journalist background compelled her to investigate further. She delved into the world of animal communicators, psychics, and scientists studying animal intelligence, including Rupert Sheldrake, to find answers to her multiplying questions: Do animals have thoughts and feelings? Consciousness? Souls? Is interspecies communication possible? Can animals reincarnate?